Creating jobs and growing our local economy are amongst my highest priorities. 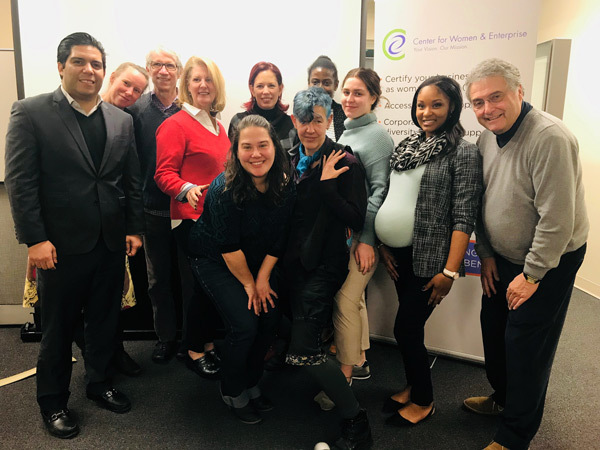 Through a partnership between the City’s Office of Economic Opportunity and the Center for Women and Enterprise, Providence is putting its unemployed and underemployed residents back to work by helping them start their own business with the PVD Self-Employment Program. 80 residents have graduated from the program and are well on their way to success in the Creative Capital! The PVD Self-Employment Program helps participants gain the financial literacy, practical business skills and access to capital required to create new opportunities for economic growth in Providence. The program consists of two components with focuses on business planning and business mentorship to ensure success. The Business Planning Program is an intensive 3-week course that walks participants through the creation of a bank-ready business plan. Immediately after graduation, participants start a 6-week Mentoring Program in which they work with a mentor to create a work plan and receive specialized assistance. According to the Small Business and Entrepreneurship Council, the majority of US businesses are considered small businesses, and we recognize that when they succeed – our city succeeds. The launch of the PVD Self-Employment Program follows efforts to expand economic opportunities for all residents through strong workforce development programming and expanded business services. Providence residents interested in applying for the PVD Self-Employment Program can do so by clicking here, or by contacting the Mayor’s Center for City Services for more information by dialing 3-1-1.